I know, I know, there are just so many great projects and so little time, but I couldn't help passing on a few I have come across recently. These are all tutorials so if you click the links you can find instructions on how-to. 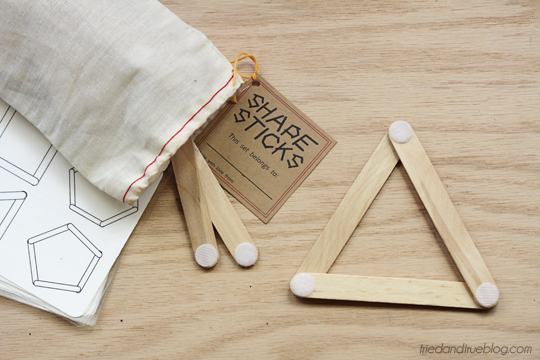 If time allows I am definitely going to be making those shape sticks for my M+L's stockings. So simple, yet such a great idea! The simple ideas are usually the best ones. I love those little elephant hooks and now that I have accepted my love of sparkly animals, I am not afraid to say it. Cutting the plastic animals looks like it'd be the hardest part, but the rest, easy peasy. And if you have the time I think it would make a really cool gift. I don't know about you but I always end up with one present left and a pile of wrong-sized wrapping paper scraps and have to get creative right about the time I am totally over getting creative. 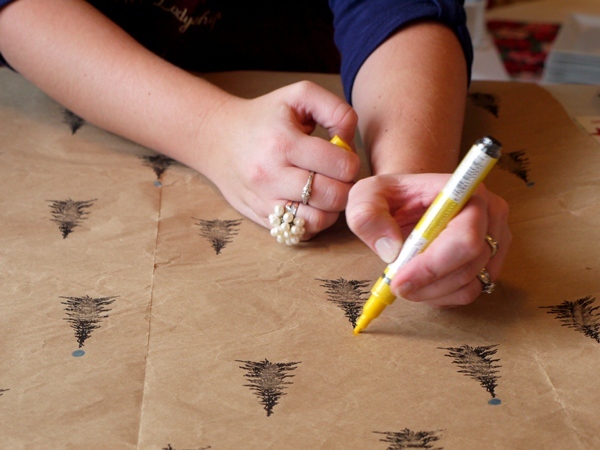 This stamped paper just might come to rescue if you find yourself in the same situation, or if you just like to make your own gift wrap, because it's a super cute idea! Gift tags are one thing that I really do like to make sure to personalize during the holidays, I think I've have just done it for so long it just feels wrong if I don't. Yelle came up with a great way to do so using pretty stationary paper and a typewriter. I absolutely love the look of hers. Soooo if you happen to have a shiny and sparkly animal obsession like me, you can go crazy pillaging your kids plastic animals and painting them up to make ornaments. It might be a nice little lesson on reusing and recycling with your kids too. I seriously love this last diy. 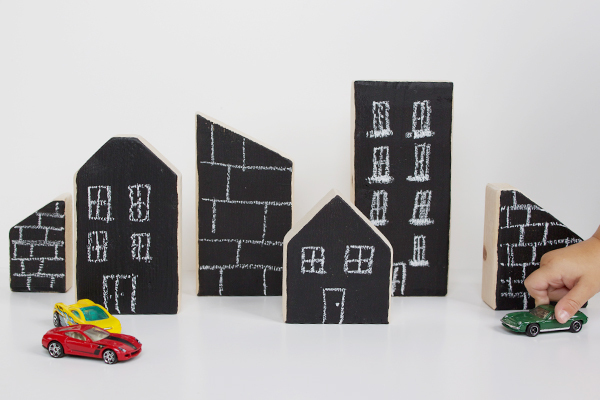 How incredibly cute are the chalkboard painted blocks?! I don't know if I will get to this project before christmas but it is one I will be tackling in the near future! 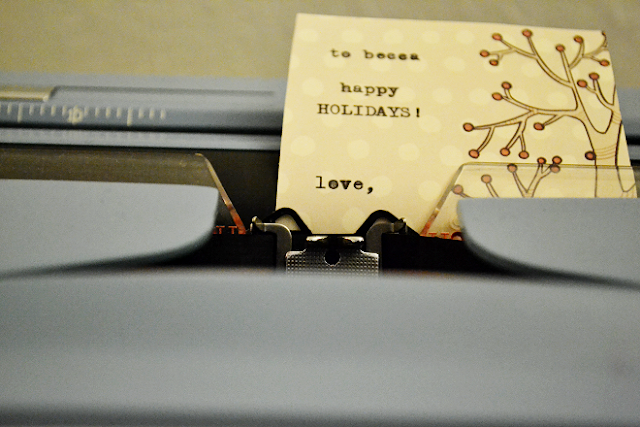 Are you handmaking any gifts this year or have any special holiday diy's you are working on? See? There you people go, making me wish I were crafty! I love those sparkly elephants too. LOVE them. Dang. I'm loving the elephants as key hooks, and thanks for putting mine up! It made me smile to be in such good company! I have this strong (and odd) desire to buy a bunch of plastic figurines and paint them now... my house needs less stuff, not more! I am obsessed with that elephant key-rack! Elephants are my favorite :) But I don't think I'd have the heart to cut them in half! Even fake ones. 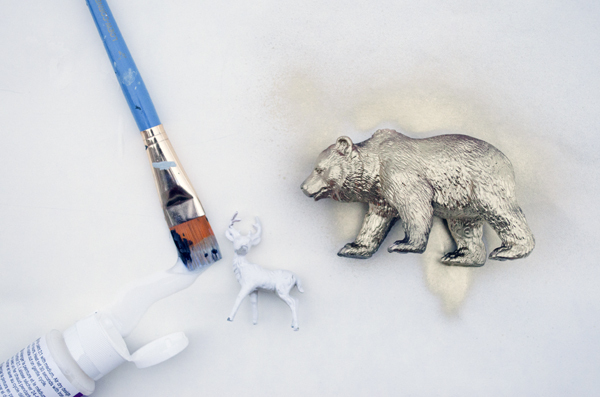 I do, however, want to paint tiny animals gold and silver. Wow. Such a simple transformation. Those shape sticks look like they are going to be a real crowd pleaser with the wee ones! Wow, I love these ideas! I want to definitely make the elephant key hooks...it's so cute! Obsessed with those elephant hooks. So so so cute. I really need to get on this spray painted animal thing. loved all those DIY, specially the 2nd one, wow! 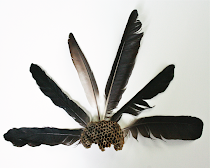 This is a great collection of things I might ACTUALLY make! !